This oversized hardcover is the ultimate companion to the award-winning video game The Legend of Zelda: Breath of the Wild and includes material from its DLC packs. Witness the making of a champion! 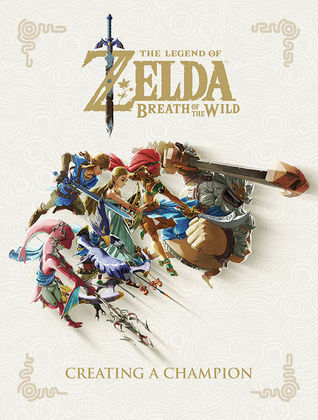 This book features: * Nearly 50 pages of sketches and official illustrations from Takumi Wada * 296 Pages of design artwork and commentary about the making of the game from crea This oversized hardcover is the ultimate companion to the award-winning video game The Legend of Zelda: Breath of the Wild and includes material from its DLC packs. Witness the making of a champion! This book features: * Nearly 50 pages of sketches and official illustrations from Takumi Wada * 296 Pages of design artwork and commentary about the making of the game from creators * 55 Page historical section that divulges an in-depth history of the Hyrule of Breath of the Wild. * Interviews with key members of the development team including Hidemaro Fujibayashi, Satoru Takizawa, Takumi Wada, and Eiji Aonuma Make sure to check out the other installments in this unparalleled collection of historical information on The Legend of Zelda franchise with the New York Times best selling The Legend of Zelda: Hyrule Historia, The Legend of Zelda: Art & Artifacts, and The Legend of Zelda: Encyclopedia which detail the first 30 years of this historic video game franchise!